Since the release of Bud Light Lime-A-Rita in 2012, the franchise has continued to expand with more flavor varieties. From the original lime, the Rita family has been joined by Mang-O-Rita, Raz-Ber-Rita, and Straw-Ber-Rita, just to name a few. In 2015, a new flavor joined in the fun with the introduction of Lemon-Ade-Rita. Lemon-Ade-Rita, is a summer seasonal flavor that showcases the juicy and refreshing taste of lemon. Just like the other Ritas, it is a margarita flavored beer with the taste of lemonade. 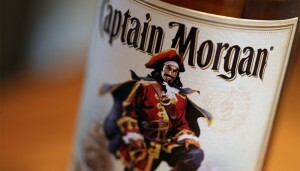 It is best served over ice and comes in different sizes: a 12-pack 8 ounce cans, 4-pack 16 ounce cans, and 25 ounce cans. Below are the latest Bud Light Lemon-Ade-Rita prices. Aside from lime, lemon is also frequently used to make margaritas, so people are used to its traditional taste. That is why, the Lemon-Ade-Rita is a big hit for beach parties and celebrations anywhere. It is a refreshing drink for family gatherings and during barbecues. It is also a great way to end a stressful day when you get home. Just open a can, pour in a glass with lots of ice, relax an enjoy. The different flavored drinks of the Rita franchise are indeed one of Anheuser Busch’s most popular products. Bud Light is one of Anheuser Busch’s flagship brands and together with Budweiser, they make the best beers that consumers enjoy and celebrate with during their life’s precious moments. With the convenience of lemonade margarita in a can, you do not have to make an extra effort preparing and blending ingredients just to enjoy your favorite drink. You just need to pop open a can and you are all set. Bud Light Lemon-Ade-Rita only contains 196 calories, 23.1 carbohydrates, and 0 grams fat per 8 ounce can. Like the rest of the Ritas, it also contains 8% alcohol by volume. 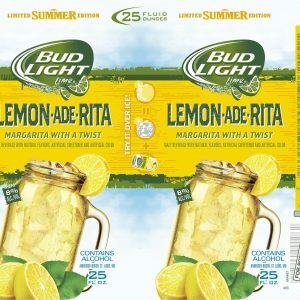 Although Bud Light Lemon-Ade-Rita is already great on its own, you should also feel free to play around and experiment with different flavors so that you can enjoy the drink in different ways. In a cocktail shaker or mason jar, muddle the watermelon with a dash of agave nectar. Add ice and shake vigorously until everything is mixed well and the concoction is chilled. Pour into a tall glass and add Lemon-Ade-Rita until full. Garnish with mint leaves or a thin slice of watermelon before serving. 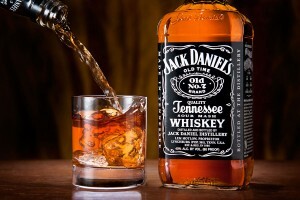 This is another simple adult drink which combines two great flavors. All you need is a big glass or a mason jar with lots of ice. Pour half a can or 4 ounces of Straw-Ber-Rita and another 4 ounces of Lemon-Ade-Rita. Stir and garnish with a strawberry or a lemon wheel before serving. You can also turn this adult drink into an adult popsicle by pouring the mixture into popsicle molds. For added texture, you can also add some sliced or chopped strawberries into the mold before pouring in the drink. Refrigerate for a few hours and enjoy them during hot summer days. Put your preferred amount of ice in a glass. Then, mix equal parts of unsweetened iced tea and Lemon-Ade-Rita. Stir and then garnish with a lemon wheel before serving. In a cocktail shaker or mason jar, muddle the blueberries and blackberries with the sugar and a little bit of lemon juice. Once done, add Lemon-Ade-Rita. Put your preferred amount of ice in a tall glass and pour the concoction into it. Garnish with a lemon wheel before serving.